Everton Football Club are an English football team based in the city of Liverpool. They play in the Premier League and have competed at the top level of English football for a record 114 seasons. The club was founded in 1878 and were one of the founding members of the Football League in 1888 which they then won just two seasons later. They have won 15 major trophies in total which includes the League Championship nine times, the FA Cup five times (which is the ninth most in English football) and the UEFA Cup Winners Cup once. The club is based in the Walton area of Liverpool and play at the famous Goodison Park after moving away from Anfield in 1892, which is now occupied by their fierce rivals Liverpool. Everton have a famous home kit and play royal blue shirts with white shorts and socks. In addition to this, Everton are nicknamed The Toffees because of a sweet shop based near Goodison which sold sweets known as Everton mints, at the start of every home game a girl dressed as The Toffee Lady walks around handing out these Everton mints to supporters. On a side note, they also happen to be the team that I support! Idrissa Gueye is not only the best player at Everton but he is my favourite player too! He is The Toffees defensive rock at the heart of the midfield and with impressive stats such as 17 tackling, 18 work rate and 15 passing he must be a starter in your team especially for future European nights at the famous Goodison Park that you’ll aspire to reach. Theo Walcott is one of Everton’s new signings and for me he definitely walks straight into the first team. Obviously Walcott is known for his electric pace but he also has some other exciting stats including 14 dribbling and finishing, this shows that he can be used as a Winger but also as Striker! Something which I would certainly be interested in experimenting with myself in the future. My area to improve at Everton would be at left back. An ageing Leighton Baines should be good enough for your first season in the Premier League but after that he will start to decline massively, with no other registered left back in the squad I would recommend bringing someone in sooner rather than later to support Baines. Our first hot prospect in the Everton ranks is Ademola Lookman. Everton are not blessed with talent on the wings but Lookman could be the guy that changes that. Bought from Charlton for £7.5 Million last season, Lookman has some serious potential and has already impressed on an international level after winning the Under 20 World Cup with England. Our second hot prospect is a midfielder who goes by the name of Tom Davies, to me he has the potential to become an integral part of your squad. The 18 year old would not be my first choice central midfielder in the squad but used as a rotation/back up option instead. He will start to quickly improve and you may wish to use as a starter in your side in the very near future. For an in-depth guide to Tom Davies in FM18, check out this post. We look at how to get the best out of the Everton youngster through tutoring and training. We also find out how he could develop a few years into the future! 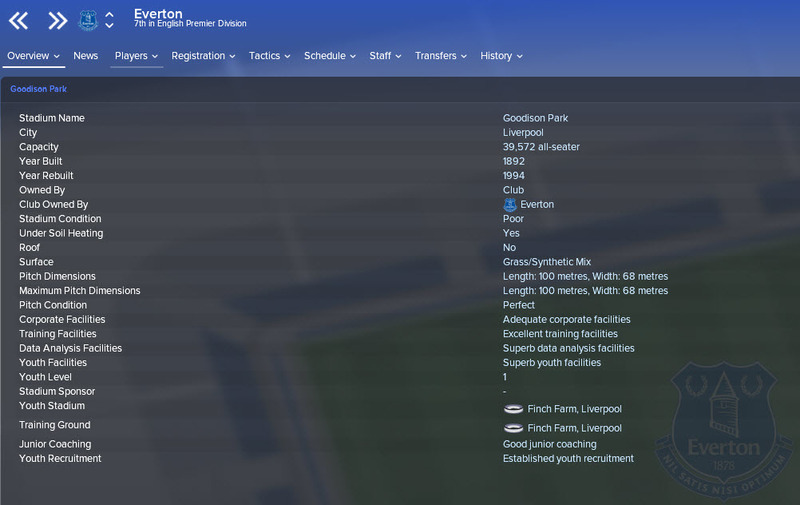 Everton have good finances with around £50k on the wage budget and also around £20 Million in the transfer budget. 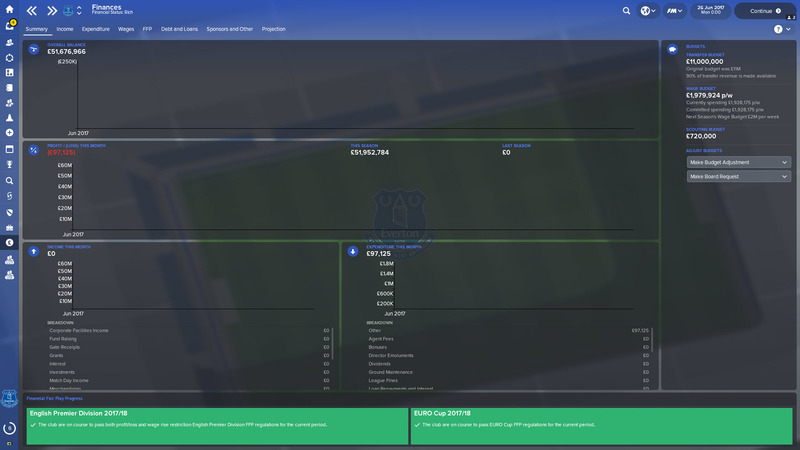 With you playing in the Premier League you will constantly have additional money available to you including Sponsorship deals, TV money and also don’t forget about the crazy amount of money you can receive with a good cup run. 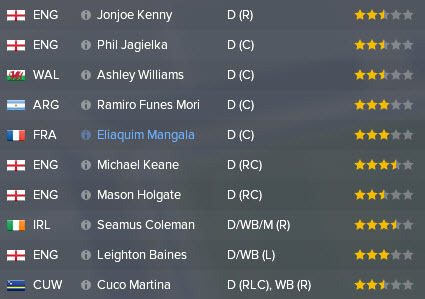 So good luck to everyone who manages Everton and I hope you have a fun time over in England, please let me know how you get on in your saves either in the comments by heading over to my Twitter @Casual_FM_. Thank you for taking the time to read this club guide! 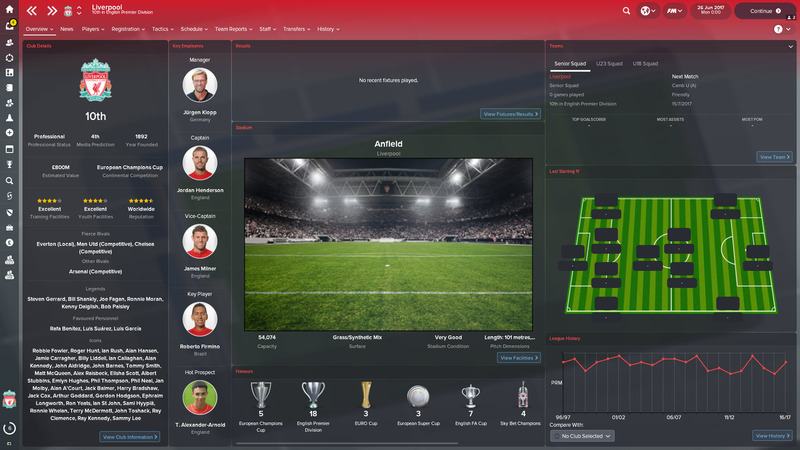 This entry was posted in FM Guides | Club Guides, FM18 Guides, Experiments & Wonderkids, Football Manager 2018 and tagged ademola lookman, england, english premier league, everton, FM Guides, fm18, football manager, idrissa gueye, leighton baines, theo walcott, tom davies. Bookmark the permalink.